Virtual CEO Lifestyle Review - Is it a New Scam from Eben Pagan? It was impossible for anyone involved in Internet Marketing to miss the pre-launch hype about the new product by Eben Pagan – Virtual CEO Lifestyle. Eben Pagan made a come back with this new product. Is this going to be a new scam from Eben Pagan? Read this honest Virtual CEO Lifestyle review and find out more. What is Virtual CEO Lifestyle? Virtual CEO Lifestyle Program is an online marketing program created by the so-called guru entrepreneur, Eben Pagan. He made a comeback with a brand new training course that comprises a series of live events and coaching webinars. The entire training course of Virtual CEO Lifestyle has seven models, and he calls it The 7 Profit Pillars. Each model will take you through the basic and fundamental information of doing business in a different way. It claims that the secrets to making lots of money will also be revealed at the end of the course. Within his internet business and marketing training, he offers Step By Step Training, in which he will guide you from the start to finish with a CEO lifestyle that will last for six months. Within these six months, you will discover tons of tools, training, and support to boost your online business sale. Along the way, you will be granted an access to a private support from a group of marketing experts. From time to time, there will also be some live webinars with the owner, Eben Pagan where there will be two tickets to a live training seminar where he will be revealing his secret to success. To be honest, the information given so far by Eben Pagan is so vague that I couldn’t get any detailed information and ideas how he can help me to increase my success at the end of the training course. Unless you pay $4,977 for it. Virtual CEO Lifestyle largely contains basic information for getting started in making money online through affiliate marketing. This means that the information is not relevant for anyone who is already experienced in the processes of internet marketing. The product may provide guidance to new users, but honestly, there are better places to go for this information. Because of this, I wouldn’t really recommend this program to anyone, unless they were already planning to spend $4,977 for the entire six-month training course. $4,977 is a lot of money! In the past, he makes lots of money selling info-products like Double Your Dating and he also partnered with Christian Carter on Catch Him and Keep Him product to reveal dating secrets. I know what you are thinking about. Why a dating expert, David DeAngelo (his former name) shifted his focus to something else to steal our hard earned money? Eben Pagan is admittedly one of the best at sneaky marketing tricks so people swipe their credit cards for him. He is good at what he does – manipulate people to make millions and leaving your lives miserable. Yes, all you will learn how to make any product seem premium and worth buying from this brand new product – Virtual CEO Lifestyle. What to Expect from Virtual CEO Lifestyle? Virtual CEO Lifestyle sounds like a wonderful new way of making money online, but in reality, the product is simply training for affiliate marketing, training that is available in many places online. 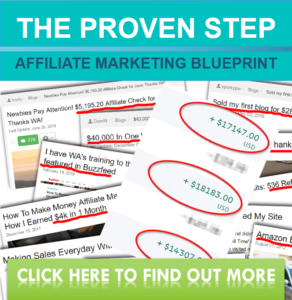 The program itself consists of training and software that automates a few components of affiliate marketing, but largely leaves the processes up to the user. There is really nothing about the training that is unusual or unique. It’s also important to note that getting access to the Virtual CEO Lifestyle program requires users to sign up for at least six months at the price of $4,977! Virtual CEO Lifestyle is a very typical internet marketing product that offers great things to people who have never made money online before but ultimately fails to live up to its claims. I also wanted to note that if you go to pay for the product, you get presented with this little discount banner that only last for 3 days. This is a marketing trick pure and simple, and it’s designed to stop the user from thinking their decision through. This technique is highly manipulative and most of the time it is untrue. Believe me, the price will always stay at $4,977 no matter what. Okay, it might seem a little surprising that I say good reviews are a bad thing, but they do make it difficult to work out what is actually good or bad about the product. The reason for this is that most people who review Virtual CEO Lifestyle are affiliates of the program. This means that their reviews are completely biased and many of the reviewers probably haven’t even used the Virtual CEO Lifestyle product. One way to see this is that most of the reviews for the program use the same language and review template. They are very vague about what the product actually offers. Additionally, they tend to only consider positive aspects of Virtual CEO Lifestyle, even though there are also some concerning parts of the program. The first thing to understand about making money online is that it isn’t something you can learn and be instantly successful at. It takes time to learn skills and develop a site. Virtual CEO Lifestyle does provide a level of training, but there is much better training you can get for a lower price and without having to pay for website hosting until you are ready to do so. Using a free website and being part of a supportive community is the best way of learning how to make money online, without the risk that is a part of Virtual CEO Lifestyle. You can also see the training I used at Wealthy Affiliate that taught me to start my own online business, even with no previous experience. DollarCell Review – Is DollarCell Legitimate or a Scam? I feel that this is no exception. I am sure you heard of Empower Network and was wondering if you can make the comparison to Virtual CEO Lifestyle. I find both programs to be quite similar in trying to become a successful online marketer in terms of price. Overall, I feel that your article has given me insight and would recommend others to read your article and hopefully, they’ll gain insight to not having to spend that ridiculous amount for a training course. Thanks for reminding me of Empower Network. I couldn’t agree more with you that they both are quite the same when it comes to their training structure. I always wonder why there are still people willing to pay so much money to gain something you can find somewhere else at a cheaper price. It is a no-brainer to pay so much for something that does not guarantee you the results after attending all the modules for the next six months.